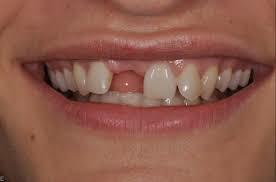 Dental implants are the ideal way of restoring a missing tooth. It is an artificial synthetic tooth root that a periodontist sets into the jaw to hold a bridge or a replacement tooth. Endosteal (in the bone) : The most commonly used type of implant. The various types include screws, cylinders or blades surgically placed into the jawbone. Each implant holds one or more prosthetic teeth. Endosteal type of implant is generally used as an alternative for patients with bridges or removable dentures. Aesthetic: Dental implants look and feel like your own teeth! Since it integrates into the structure of your bone, they prevent the bone loss and Gum recession that often accompany bridgework and dentures. No one will ever know that you have a replacement tooth. Tooth-saving: Tooth implants don’t sacrifice the quality of your adjacent teeth like a bridge does because neighboring teeth are not altered to support the implant. More of your own teeth are left untouched, a significant long-term benefit to your oral health! It takes 2 to 6 months to completely recover after an implant. In between, the patient needs to follow the instructions of the doctor(Endodontist) very carefully. If a patient goes through the proper and perfect steps of a dental implant, they can be rest assured to get the expected results.